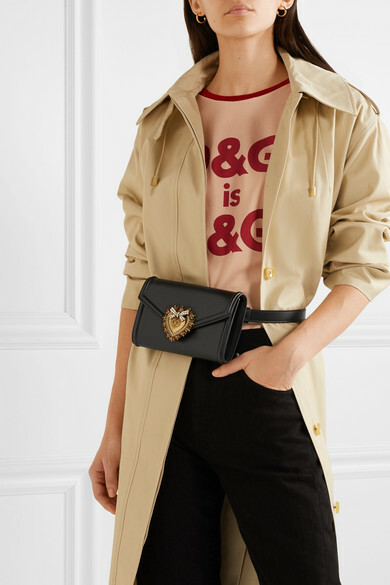 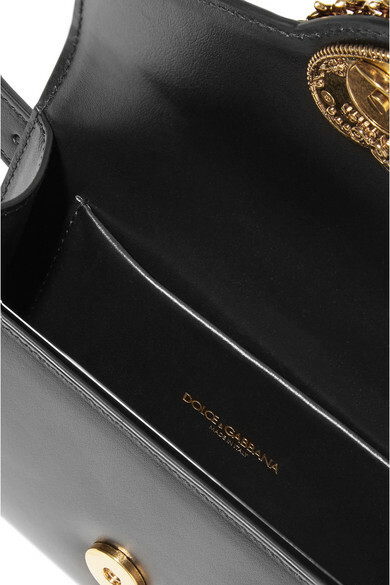 There are so many ways to style Dolce & Gabbana's 'Devotion' bag - you can secure it around the waist or detach the strap to wear the pieces separately as a belt and clutch. 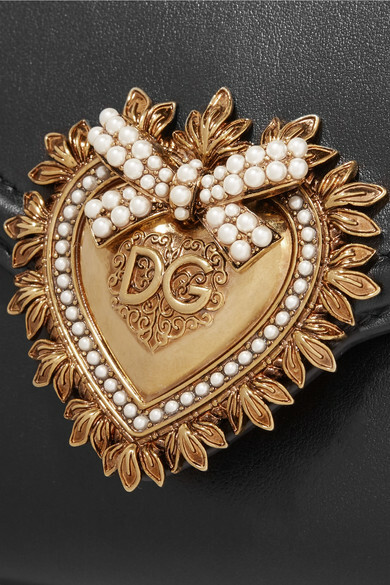 Made in Italy from supple black leather, it has gold hardware, including a sizable heart-shaped embellishment that's decorated with tiny faux pearls. 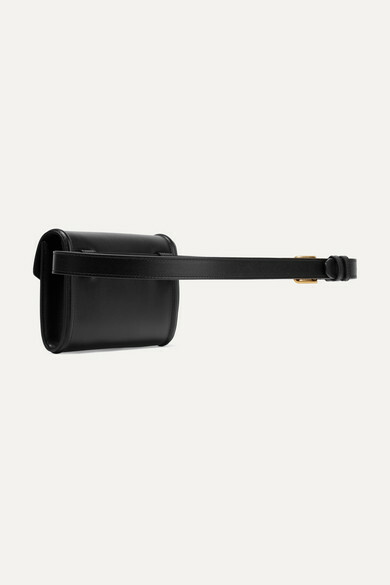 There's enough space inside for a phone, lipstick and cardholder. 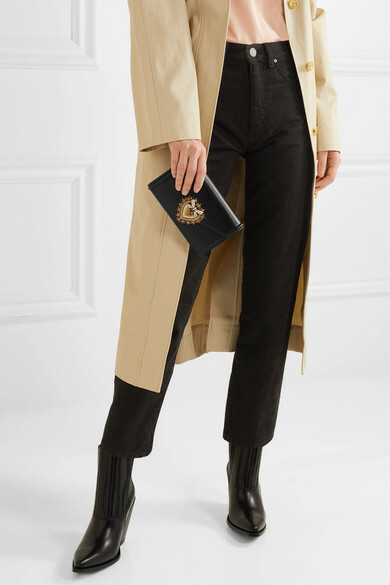 Shown here with: Goldsign Jeans, Joseph Trench coat, Sophie Buhai Earrings.